In the last few years the People Science team has worked in over 25 applicant tracking systems (ATS). We take on the technology of our customer to ensure an easy work flow and transparency for all. Because of this I would NOT call myself an ATS expert, as there are 100’s out there that I haven’t touched. However, I have found one huge commonality that jumps out and bites me in the face every time I see it. ATS’s were built to house applicants, not candidates. So the million dollar questions is how do you differentiate the two and ensure that your candidates are truly converting into applicants? I believe this topic will become more of an issue as the unemployment rate continues to drop and identifying top talent becomes more of a challenge. Less talent means more sourcing, and more sourcing means more candidates to convert into applicants. Myself and our teams direct source hundreds of candidates a week (NOT applicants) and push them to complete an online application, this is how we will convert a candidate into an applicant. When we first prescreen the candidates we ask them, how did you hear about the position? What makes you interested? Candidates are almost always honest with you about this over the phone, talking to you, asking questions and giving us insight on what they are looking for in their next career move. This quick call we have with candidates helps us determine if the candidates should become applicants for the open position that’s been discussed. Because we source so many candidates at People Science we have a CTS (candidate tracking system) that we house the candidates (again not the applicant’s information) in. This tool is an amazingly great product that helps us build pipelines for positions, identify candidates that will be a future fit for our candidates and customers, and allows us to track the sourced candidates and collect data on them pre-application. I’m sure you’re asking at this point why this is so important. As it gets harder to attract top talent and your applicant pools shrink, your incoming applicants decline. The only way you will fill your positions is by sourcing (if you have tried to fill an engineer position in the tristate area in the last 3 months I know you feel my pain here) and marketing your positions to candidates. This is something that no ATS out there does, it’s just not what they are intended for. So what are you using to track your candidates and build your pipelines? How do you ensure your candidates are converting to applicants? If you’re still using notebooks and spreadsheets, is that really working for you? 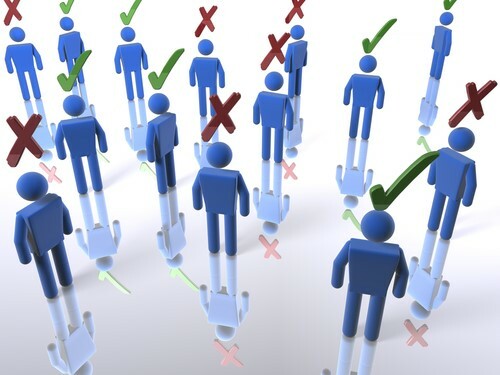 If not then it’s time to look at a candidate tracking system like HireGate. It will change the way you work. Submitting an Application and Resume- Redundant or Essential?